Live2Fish and Outdoors are proud to stock a great range of Stealth rod holders. If you are a keen fished, a Stealth rod holder is something you need to add to your list of ‘must have’ angling products. Made from glass-reinforced nylon, all our stealth rod holders are known for their strength to weight ratio, durability and UV weather-ability. All the metal components are 318 Stainless and are built to last. 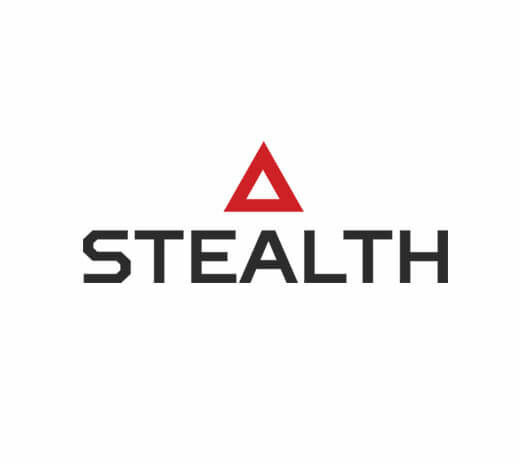 Another advantage of buying a Stealth product is its compatibility with other brands. It’s designed to fit into both Scotty and Cabalas bases, which are often quite popular bases that may already exist on your boat, making it easier to install. Therefore, it eliminates the need to drill new holes if you can leverage an existing compatible base. 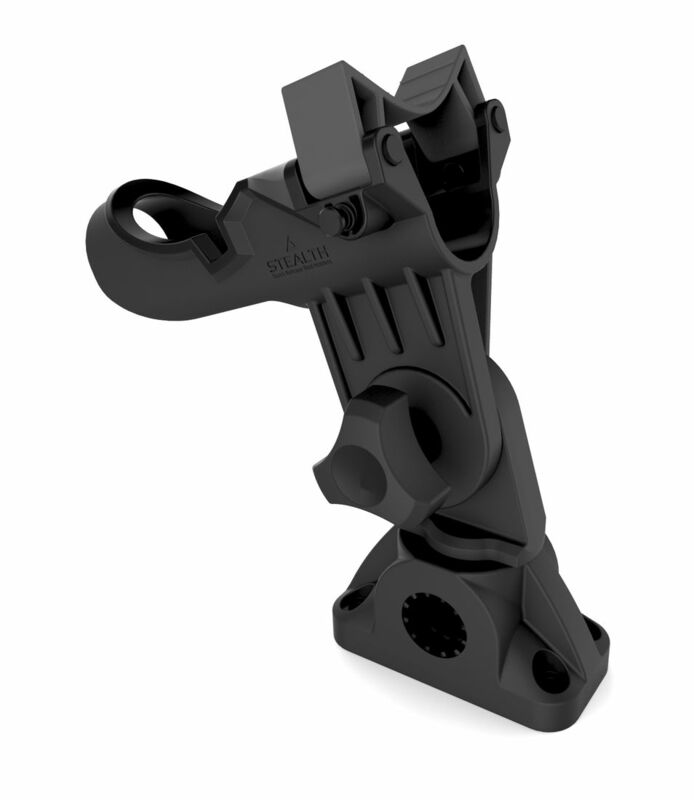 The innovative manufacturing techniques bring the Stealth series custom fishing rod holders to another level, delivering an easier and more enjoyable experience when you’re out on the water. Live 2 Fish Outdoors is a leading supplier of Stealth fishing equipment ranging from rod holders, fishing rods, quality fishing nets, S2 Sliders as well as a variety of fishing tools and complementary accessories. 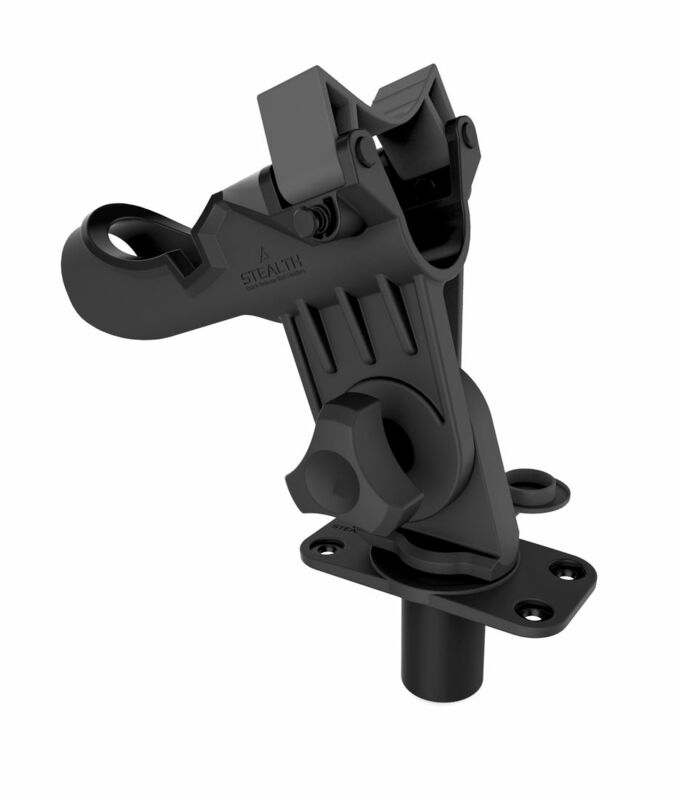 The Stealth rod holder can be used with our Stealth Series fishing rods that are custom made, extremely light weight, have ultra sensitivity, great lifting power and control. 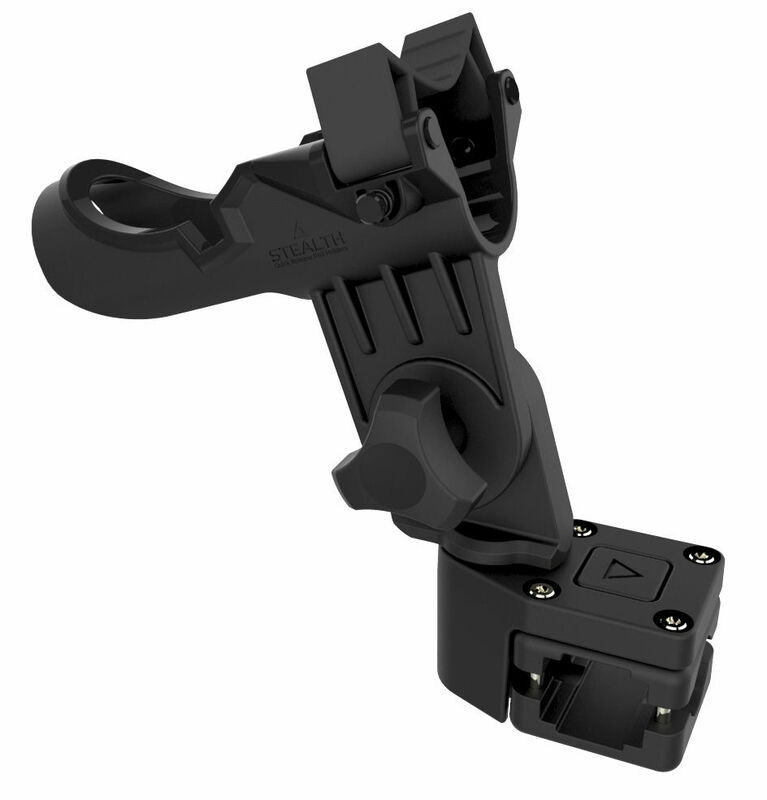 They are available in cast, spin or conventional models. We also use an innovative TiTech KV filiament weave that is applied on the bottom third of the custom rods providing added strength and power. This process gives the action a completely different bend with a spectacular flex and feel. Titanium nitrite guides are also standard on these extremely special custom fishing rods. If you ever have a problem, our team at Live 2 Fish Outdoors will take care of you at every stage of the buying process. Buy your stealth rod holder online directly through our website or alternatively you can email us at sales@live2fishoutdoors.com.au with all your fishing queries and we’ll get back to you as soon as possible.